Journey through the vibrant and historic city of New Orleans. Care to share your experience with Magic Tours? Since its founding, New Orleans has suffered more disease, disasters, destruction and death than any other American city. Spirits are taken for granted here! 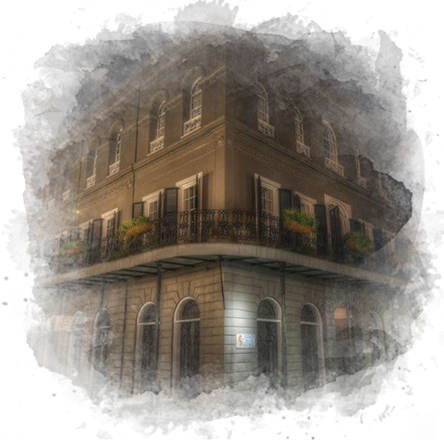 The influence of Voodoo has been profound and it seems that almost every building has its own haunting story. New Orleans is known for its unique cemeteries and burial customs – including above-ground graves. 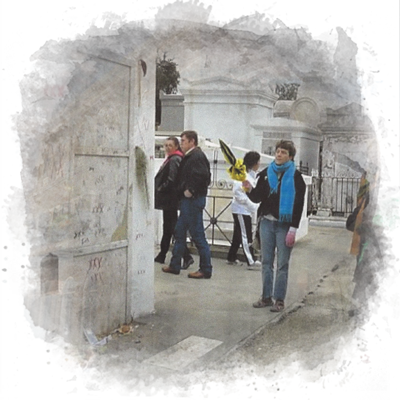 At Magic Tours, we offer unusual St. Louis Cemetery tours in New Orleans, giving guests the full experience of being in the presence of these old and sometimes very famous graves! Founded in 1718, the French Quarter (Vieux Carre - meaning old square) was the original settlement of this nearly 300-year old city. See the unique architecture and the lush, inviting courtyards as you stroll through the narrow streets, soaking up the charm and ambiance of America's most interesting city. All regularly offered tours are available as private tours. Call 504.588.9693 to arrange pricing, dates, times, meeting locations, etc. Tours can be customized to meet specific needs and requests. Tour content can be modified to accommodate the desires of our guests.